Female black-legged tick, Ixodes scapularis. Photo courtesy of Brian Leydet. Horizontal gene transfer occurs when genes are passed between individuals by mechanisms other than reproduction. It is common in bacteria and occasionally happens between highly divergent groups (for example, monocot genes transferred to eudicots, fungal genes transferred to aphids, bacterial genes transferred to cnidarians, and my personal favorite, algal genes transferred to a sea slug, making it photosynthetic!). A possible benefit for a eukaryotic recipient of a horizontally transferred bacterial gene is the ability to produce antibacterial compounds, which have evolved in prokaryotes through competition. In their recent Nature paper, Chou et al. showed type VI secretion amidase effector (tae) genes have been transferred from bacteria to eukaryotes at least six times and that domesticated versions of the gene (dae) have been selectively retained in eukaryotes for millions of years. The authors also presented several lines of evidence supporting the adaptive function of dae genes transferred to the black-legged tick* (Ixodes scapularis) a vector for Borrelia burgdorferi, which causes Lyme disease: i) the dae2 gene is expressed in nymph and adult phases of the deer tick, ii) Dae2, a protein isolated from the tick, is found in tick salivary glands and the mid-gut, locations where the B. burgdorferi would be encountered by the tick during transmission of the bacteria via a blood meal, iii) Dae2 proteins isolated from the tick have antimicrobial properties (more specifically, the proteins can degrade bacterial cell walls). Essentially, dae2 contributes to the innate ability of the tick to control B. burgdorferi levels after infection. Taken together, these results suggest dae2 protects ticks from infection by the very organism from which the gene was horizontally transferred. *Just a little taxonomic aside for your Monday morning- Ixodes scapularis isnt actually the deer tick! 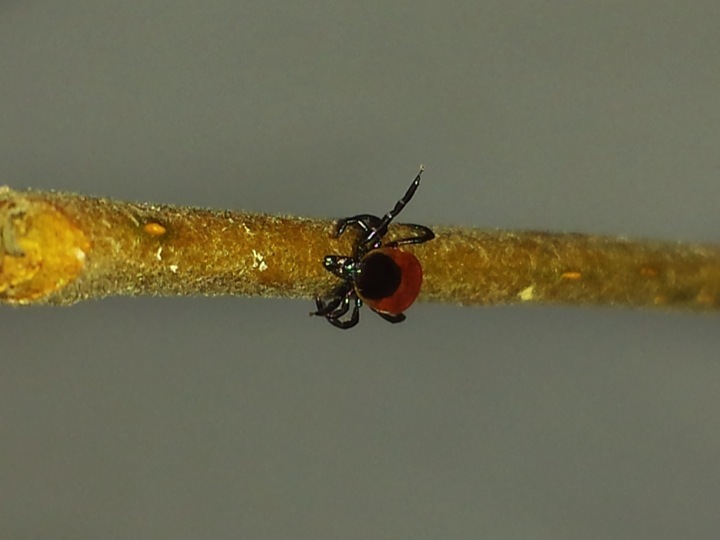 According to Brian Leydet, a postdoctoral fellow at the Trudeau Institute who studies I. scapularis and its associated pathogens, “black-legged tick is the accepted common name for I. scapularis as determined by the Entomological Society of America. Deer tick was the common name for Ixodes dammini, once considered a separate species, but now a junior synonym of Ixodes scapularis.” Beware, none the less. Both I. scapularis and I. dammini are vectors for Lyme disease. I am a postdoctoral researcher at the University of Florida Whitney Laboratory for Marine Bioscience. As an evolutionary ecologist I am interested in the processes that generate biodiversity in marine ecosystems. My research uses experimental methods and genomic and phenotypic data to test how marine invertebrate species respond to biotic and abiotic stressors over ecological and evolutionary timescales. This entry was posted in adaptation, genomics, horizontal gene transfer, microbiology. Bookmark the permalink.